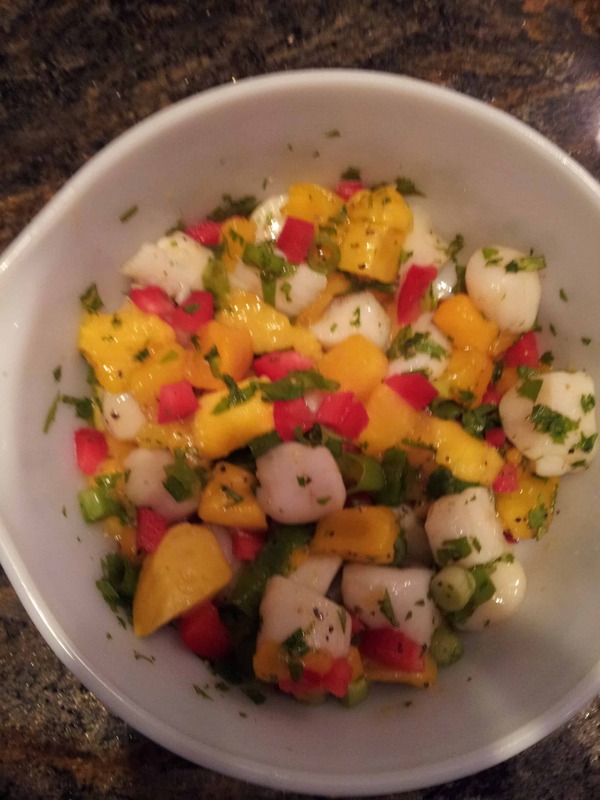 Put the scallops in a bowl and cover with the lemon, lime and orange juice. Marinate in the refrigerator for at least 6 hours (or overnight) and stir occasionally. 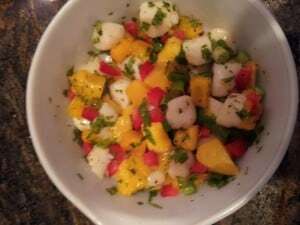 Scallops will be white and opaque when done. Drain juice. Add the rest of the ingredients, stir and serve.